Hi everyone... I hope you are having a great week so far. 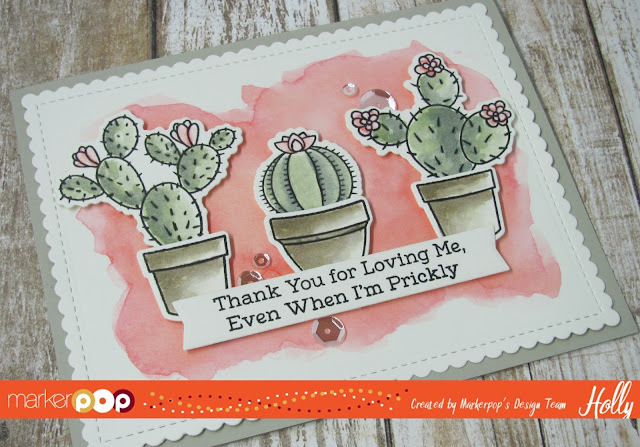 I'm over on the MarkerPop blog today with a card where I'm using Distress Inks to watercolor the Sweet Succulents from My Favorite Things. Head over for all the details and a closer look. The Design Team will be focusing on Watercolor all month on the blog and we may have some prizes along the way... Wink, Wink! !